. 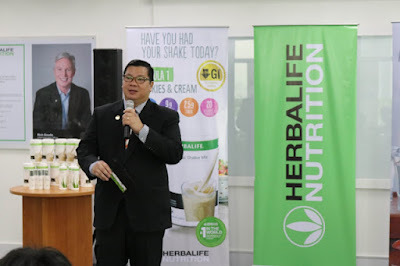 Rosalio T. Valenzuela, General Manager of Herbalife Philippines, announces the new products under Herbalife Nutrition – Herbalife Formula 1 Shake Cookies and Cream and Herbal Aloe Concentrate Mandarin flavor. 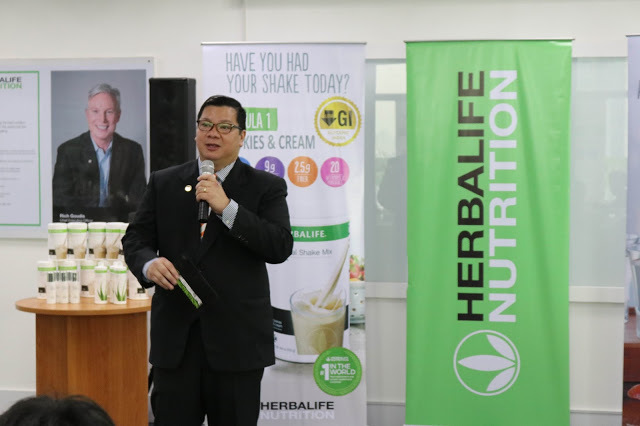 Herbalife Nutrition, a global nutrition company, has recently launched two new exciting additions to its product line-up in the country: a new favor of Formula 1 Nutritional Shake Mix - Cookies and Cream, and Herbal Aloe Concentrate Mandarin. The launch event was held at the Herbalife Nutrition Philippines Corporate Office in Bonifacio Global City Taguig. 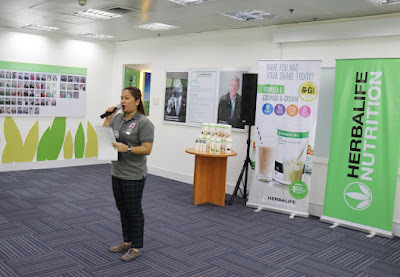 It features an exercise routine led by Herbalife Fitness Coach Dwan Abantao, a wellness evaluation, a live demonstration on how to prepare Herbalife Formula 1 Shake, and a sharing on the results of the 2017 Balanced Nutrition Survey – spanning 15 Asia Pacific countries including the Philippines. Herbalife Formula 1 Shake provides balanced nutrition through an optimum mix of high quality protein, vitamins, minerals and fibers. It is recommended for people seeking an easy-to-prepare healthy, balanced meal to support their daily nutrition, and is also available in Dutch Chocolate, Wild Berry, and French Vanilla flavors in the Philippines. Herbal Aloe Concentrate (HAC) Mandarin flavor is made from aloe vera concentrate with natural mandarin flavor. It complements the established Herbal Aloe Concentrate mango flavor, and likewise prioritizes healthy digestion.